Here's a cartoon from the current issue of Prospect magazine. 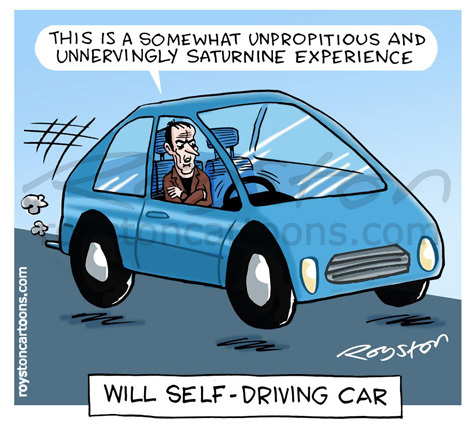 A thesaurus was a vital tool in the making of this cartoon. Appropriately enough, it accompanies this article in the magazine (though not online). 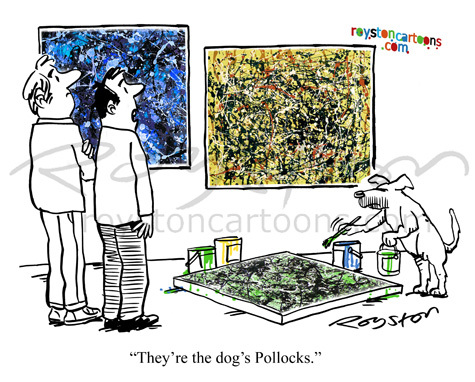 Exhibition cartoon: Pastiche or piracy? I've got a few cartoons in an exhibition called Pastiche, Parody and Piracy, which opens at the Cob Gallery in north London on Friday (June 20). For this cartoon, I completely redrew (OK, traced) the Roy Lichtenstein "original" (he famously ripped off an actual a comic book image). But I wonder if that was really necessary? Should I have just changed the original in Photoshop as some cartoonists do? Some works in the exhibition do use directly lifted material. This has been common in the art world since Duchamp, if not before, but continues to be controversial (see the comments here). Whatever you think, it looks sure to be an interesting and thought-provoking show. 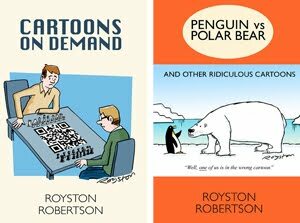 Footnote: This cartoon features in my book collection Cartoons on Demand, which you can read a review of here, and buy here. 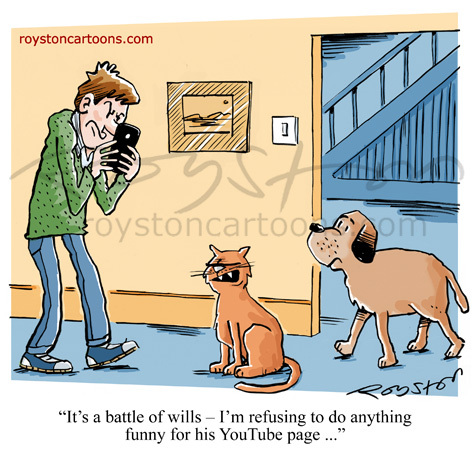 "It's a battle of wills – I'm refusing to do anything funny for his YouTube page ..."
Fashions come and go, governments rise and fall, but yer humble gag cartoonist carries on drawing jokes about cats and dogs. People love 'em! The cartoon above can be seen in the current issue of Reader's Digest, the one below was in the last Private Eye. Cartoonists are often the worst judges of their own material – you never know what people are going to go for – I had few hopes for this cartoon.